ISA Molde remains uncertain with regards to playing her fifth year with University of the Philippines. The fourth-year outside hitter shared that it's still too early for her to decide on the matter, even after the Lady Maroons ouster in the Final Four race of the UAAP Season 81 women's volleyball tournament. "Di ko alam," she said on Sunday on the heels of UP's five set defeat to NU. "Di ko masabi kasi maaga pa para mag-decide ako sa fifth year ko." 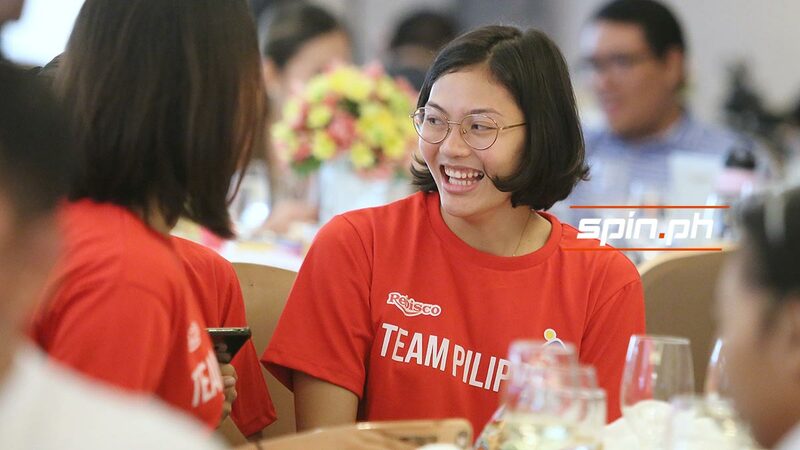 Molde has only reached the Final Four once, back in Season 78 when she was still a rookie out of Hope Christian High School. But the Lady Maroons have missed the semifinals for the third straight season. The 20-year-old, though, said that she's focused on ending UP's campaign this year, with its final assignment against Adamson on April 27. before turning her attention to her studies as she takes a Bachelor's degree on Physical Education. "Mag-aaral muna kami and kung anuman ang kalalabasan, yun," she said. "Depende pa rin kasi kung mag-midyear ako kasi naghahabol ako next year. Palagi akong 15 units eh, kaya lagi akong nale-late." If Molde decides to forego her final year, that would leave a big gaping hole in UP's offense with Marian Buitre and Ayel Estranero also graduating.